Hold the stalks at either end and bend gently; they will break naturally at the point where they become woody. No need to waste the bases – they add a lovely flavour to homemade stock. 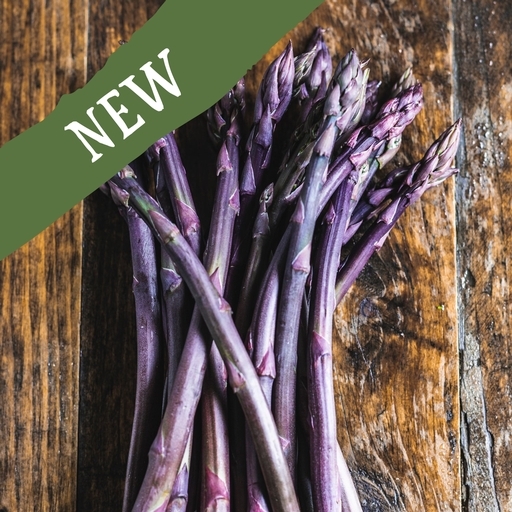 Cooking will dull these stalks’ striking colour, so just blanch them quickly and serve. They don’t need much more dressing than salt, and maybe some butter and lemon, or hollandaise sauce. For a real, simple treat, dip stalk-by-stalk in a soft-boiled egg. Store asparagus in the fridge. Best eaten as soon as possible – to keep it fresh, you can stand asparagus upright in a pot with a little water. Alternatively, wrap the base of the stalks in damp kitchen paper. A little moisture goes a long way to help preserve these precious spears. To revive ageing asparagus, trim 1cm off the bottom of the stalks and stand them up in a glass of water with a couple of teaspoons of sugar stirred in. Leave in the fridge for a few hours to help the stalks firm up and regain a bit of sweetness. Our grower Pepe and his family have been farming asparagus in a fertile valley near Granada for generations.